I am the Engagement Manger for Collaborations. What that means is that I focus on where our project can support cross-stakeholder objectives to achieve common goals. This might mean identifying issues with these stakeholders, understanding their individual perspectives and where we can combine efforts to work to mutual benefit. A ‘real’ example of this is how sample sources are not cited in academic literature. This had implications for transparency in the research process. Sample resources are denied visibility and recognition, and researchers are left out of the loop of where to access samples and expertise. We worked with the Medicines Discovery Catapult to see how widespread an issue lack of citations is, and are now developing a campaign with affected parties on how to influence change. 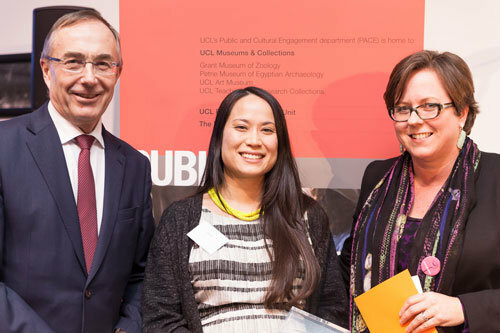 I have been with the UKRC TDCC since the beginning in 2014, along with Phil. Before working at UCL on this project, I did quite a few different jobs that did not relate to biobanking. I worked for a charity, the Runnymede Trust, for six years focusing on evidenced-based policy on race equality and social justice. Previously, I also worked on NICE clinical and interventional procedures guidelines as a Patient Involvement Advisor and a Project Manager. The closest I came to biobanking was working on a research project at King’s College London looking into the barriers to organ donation for people from minority ethnic backgrounds. In this role I focused on patient involvement in research and public engagement with the topic. I found like-mined colleagues at UCL with Royal Free Foundation Trust’s liver transplant group and the biobank, some of whom were responsible for the original bid for the UKCRC TDCC. If you couldn’t guess, my background is in social sciences and I’ve always been interested in evidenced-based policy, equalities and making research relevant to the people contributing to it. 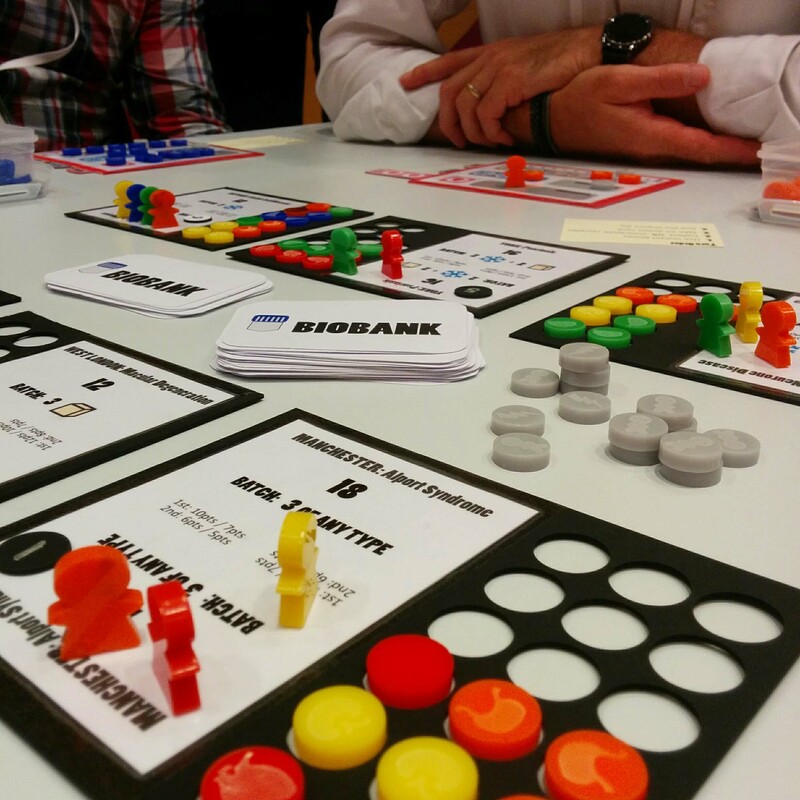 I made a board game about biobanking. I really enjoy playing strategy board games and I had a lot of fun making one about work. It felt good to create something that people didn’t think was possible. Unfortunately, other priorities prevented me from working on it further (and it does need some more work). But, it reminds me that it is worth pushing crazy ideas and working in unconventional ways. Tell us about a project which is top of your to-do list. We need case studies! I want to hear from researchers about their experiences using the UKCRC Tissue Directory to access samples for their research. I am working with our sample resource and funder networks to try to find out cases we can report back on. Also, our lovely colleague Emma is going off on maternity leave soon, and so I am making preparations for a smooth transition to the cover period. To be honest, sometimes we receive some pretty harrowing calls from people who are trying to fulfil a loved-one’s dying wish to donate samples or their bodies to research after their death. The calls themselves are not what I think of the ‘worst’ part of the job. The worst is feeling that what I tell them may provide no help at all. Through the calls I discovered that there isn’t really a central guidance on what options are available to people who want to do this. The HTA has guidance for donation for anatomical study, and there are guidance for donation for whole brains by the UK Brain Banks Networks, but often these aren’t what people are after. The best I can do is to relate the information I do have, which isn’t much, to manage their expectations of what is possible. These experiences have shown me how confusing ‘the system’ can be, especially for people in an extremely stressful and vulnerable time. The experience has motivated me to try to work on this area with other stakeholders – HTA, HRA and others – so more useful suggestions can be readily accessible in the public domain. My colleagues! I work closely with a small group of people whose expertise, strengths, eccentricities and personalities make the job. Of course it’s nice to know we are all working to make a difference to healthcare, but really you can’t underestimate the importance of enjoying the company of the people you spend a third of your waking hours with!